Keep an eye out for our new releases including our Grenache Rose’ and our sparkling red “Black Pet Nat” (BPN). 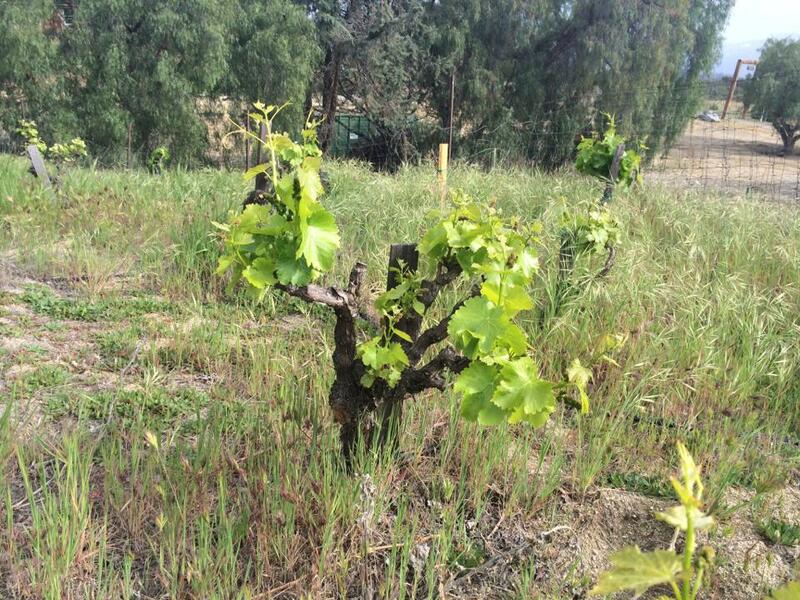 We want to be a part of the rebirth and reinvention of an old wine region — San Diego County. 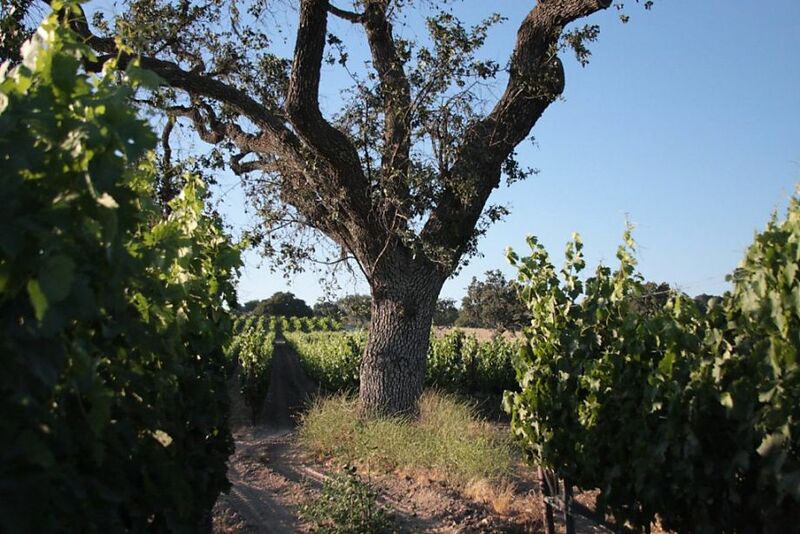 It’s a group effort, and people like Eric Van Drunen of Vinavanti, Chris Broomell of Vesper Vineyards, Don Armstrong of McCormick Ranch, and Michael and Heather Hunter of Hunter & Mazzetti Vineyard have helped us a lot. Our pre-industrial, minimalist methods are simple and careful. We get healthy grapes grown without chemical pesticides or herbicides and treat them with respect. To us that means little or no sulfur, ambient yeast fermentations, no adjustments to the must, no added sugars (even for sparkling wine), no coloring agents, tannins, or acids, and no new oak. Even within these narrow bounds (or maybe especially within these narrow bounds), we experiment freely. 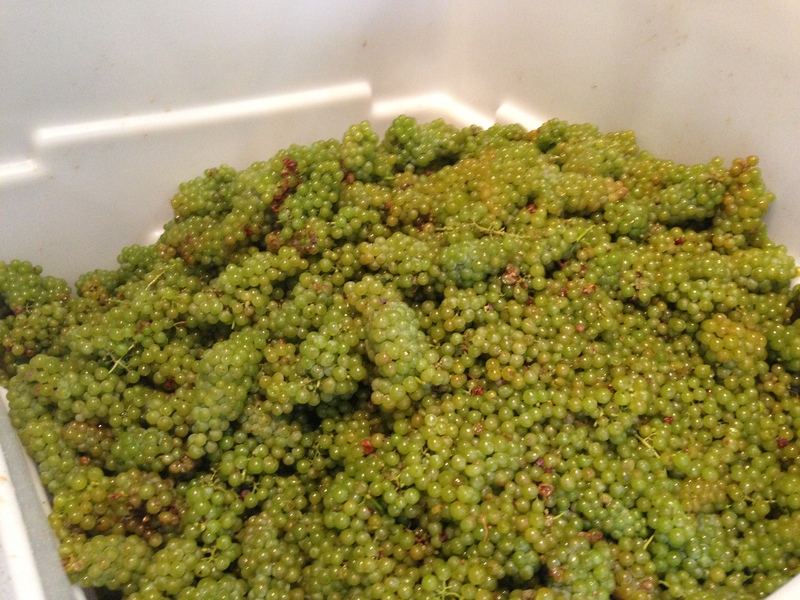 Fermentations have been various — whole-cluster, whole-berry, carbonic, foot-stomped, crushed, and destemmed. Sometimes we press early. Sometimes we extend the maceration period. We have made several undisgorged pétillants naturels, including an orangey-white one with three days of skin contact. We even made a rosé that spent a week on the skins. 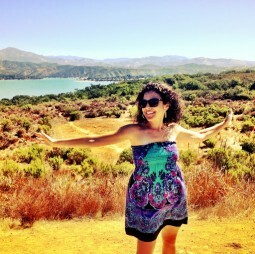 It seems right to experiment in a region that is currently not known for any type of wine. We have no orthodoxy in San Diego. 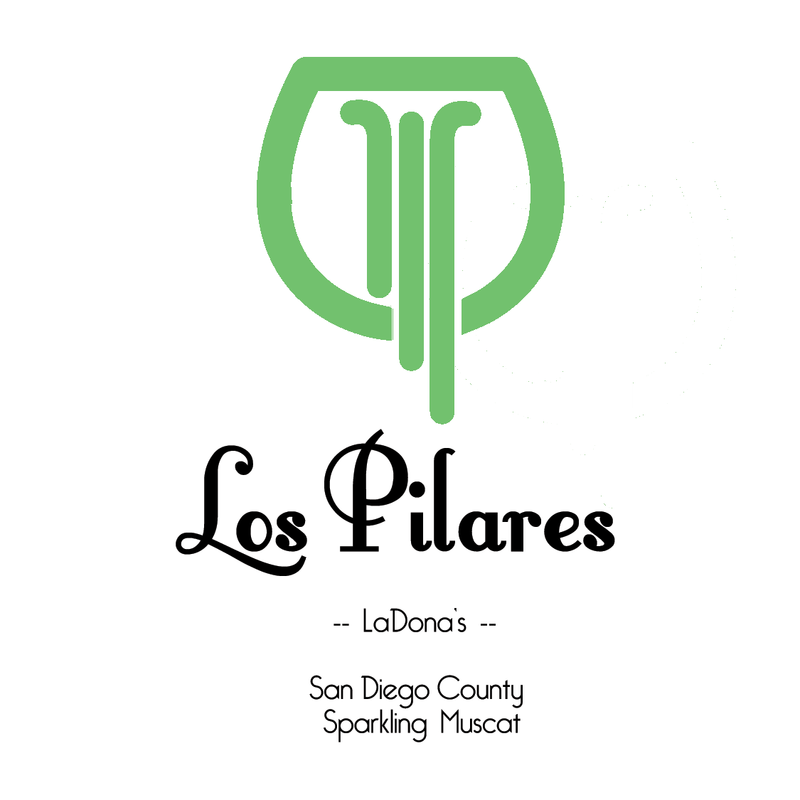 LaDona: Our sparkling Muscat is a crazy experiment that turned out crazy good. Slightly effervescent with small bubbles. Honey, ginger, and flowers in the nose. Dry with a refreshingly bitter bite from the skin contact. Good for breakfast, lunch, and dinner. 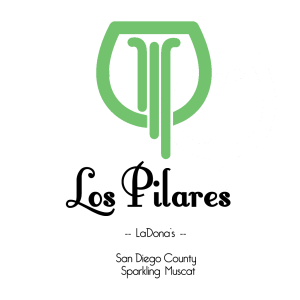 LaDona is our award winning sparkling Muscat. 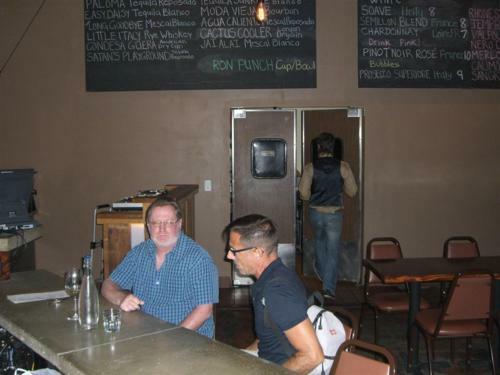 The fruit hails from San Diego county’s Hunter & Mazzetti Vineyard. We make this sparkle in the petillant naturel or “Pet-Nat” style where the wine is bottled while still fermenting. This produces a refreshing, slightly effervescent wine. Here’s what the San Francisco Chronicle has said about LaDona. 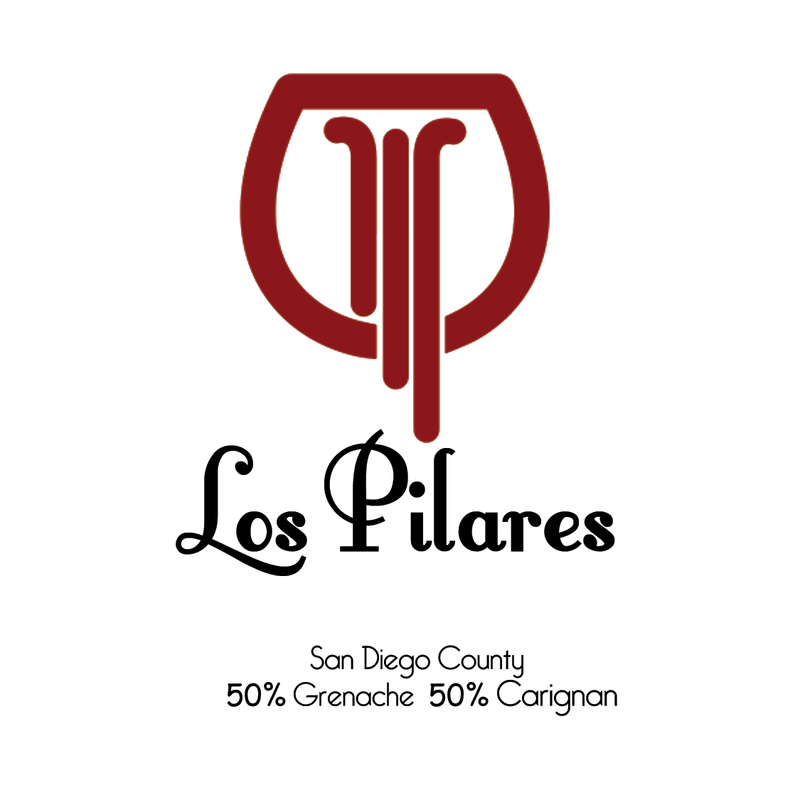 “A joyous new offering from SoCal’s resurgent winemaking posse. Muscat has a long San Diego history, and this revives it in bottle-fermented sparkling form. It has a slightly cloudy aspect, like a great saison beer, with lees suspended in the bottle adding just the right weight to florid Muscat, nectarine and watermelon flavors. 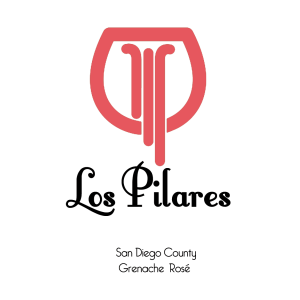 We have recently started making a Rosé made from the same Grenache vineyards that produces our very popular Grenache / Carignane blend. It’s a little too early to make predictions but we have a feeling this one is going to stand up quite nicely. Stay tuned for our first release of this exciting young wine in the summer of 2015 in time to quench the thirst from a day out in the sun. On the heels of our Pet-Nat success with LaDona and inspired by wonderful French and Italian red sparklers we decided to craft our own. Ours is made from 100% Cabernet Sauvingnon, picked young so as to capture that fresh, tart taste that translates into a good sparkler. 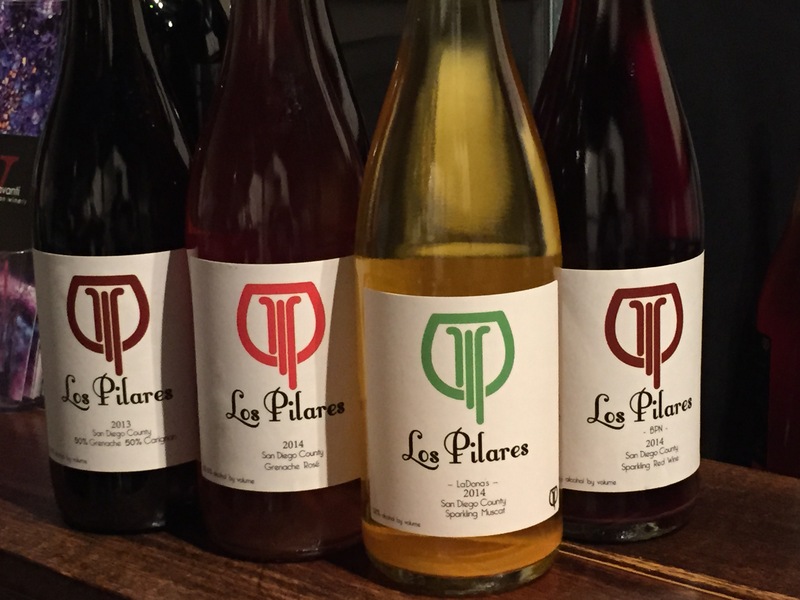 Due to limitations of fruit, our BPN (short for “Black Pet-Nat”) is in short supply. We plan to bump it up in the future. “When I took the cork out, the color was surprising. This was grenache and carignane. It was transluscent. It had that look of life, of not being worked for extraction. Curious piqued. Slightly effervescent with small bubbles. Honey, ginger, and flowers in the nose. Dry with a refreshing bite from three days fermenting on the skins and stems. No SO2, ever. Nothing added. Nothing taken away, not even the yeast. 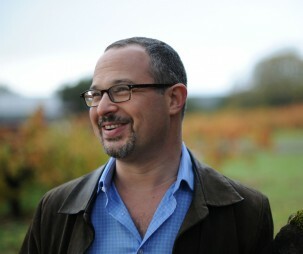 The 2013 vintage is for real aficionados of natural wine. It is a chameleon, changing rapidly in the bottle and in the glass. Sometimes it has markedly savory characteristics. Sometimes the fruit coats your palate from front to back. Long, complex swallow. Great with food. Drink it slightly chilled. It was made in very small quantities with our strict pre-industrial methods — no adjustments to the must, wild yeast fermentation, no added sugars, coloring agents, tannins, or acids. Our 2013 sparkling Muscat is a crazy experiment that turned out crazy good. Slightly effervescent with small bubbles. Honey, ginger, and flowers in the nose. Dry with a refreshingly bitter bite from the skin contact. Good for breakfast, lunch, and dinner. We named it after our friend LaDona, because she likes white wine with time on the skins. Three years ago we started dreaming of this wine. 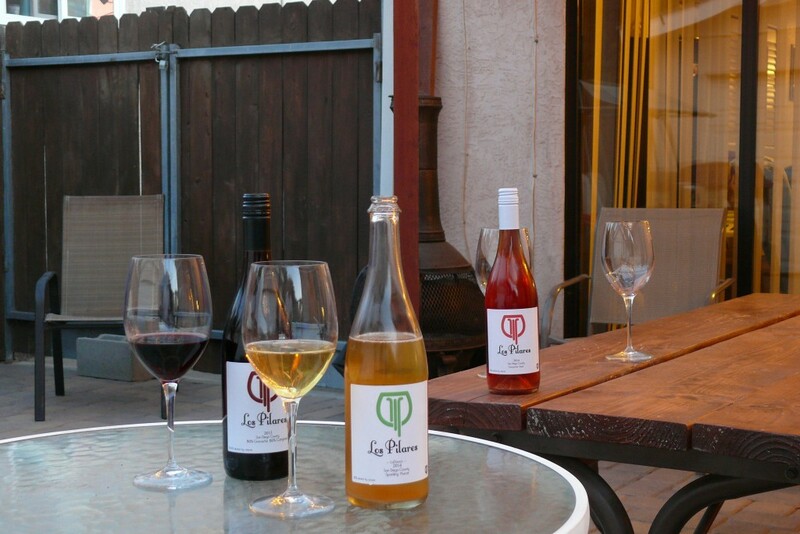 Muscat is very traditional in San Diego County where it’s usually made into a sweet desert wine. Naturally we wanted to honor the tradition but do something different with it. And, it is the most natural sparkling wine you can find or drink. Fermented in the bottle (bottle conditioned). No SO2, ever. Nothing added. Nothing taken away, not even the yeast. 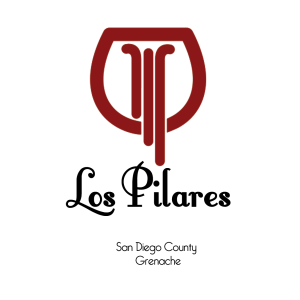 Our 2012 Grenache is very different from the Grenache Carignan we made in 2010 and 2011, at the same time more delicate and more funky. Light color. 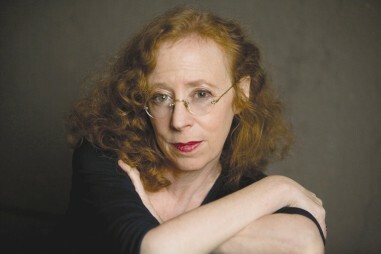 Medium-light body. Fresh fruit on the nose and a hint of sherry. Surprisingly persistent flavor after swallowing. Drink it slightly chilled. It was a difficult year in the vineyard where we got the Grenache, and we picked through the whole thing to get only one half ton of lovely grapes. Native yeast fermentation, part whole-cluster, part destemmed and crushed. No SO2 additions. No adjustments. We pressed to tank. And here’s the kicker: it took more than 18 months to finish fermenting, the whole time sitting quietly on the fine lees. I think that’s where we get the impression of sherry. Very interesting. SO2 at 20ppm at bottling. The local fruit for our second vintage is from the same sources as our first wine. Our theories about using southern Mediterranean varieties in San Diego, continue to prove themselves in Coleman and Gina’s backyard vineyard experiments in Alpine and now in Los Pilares with grapes from the backcountry. Like 2010, the 2011 growing year was quite cool for San Diego, but not quite as much as 2010. 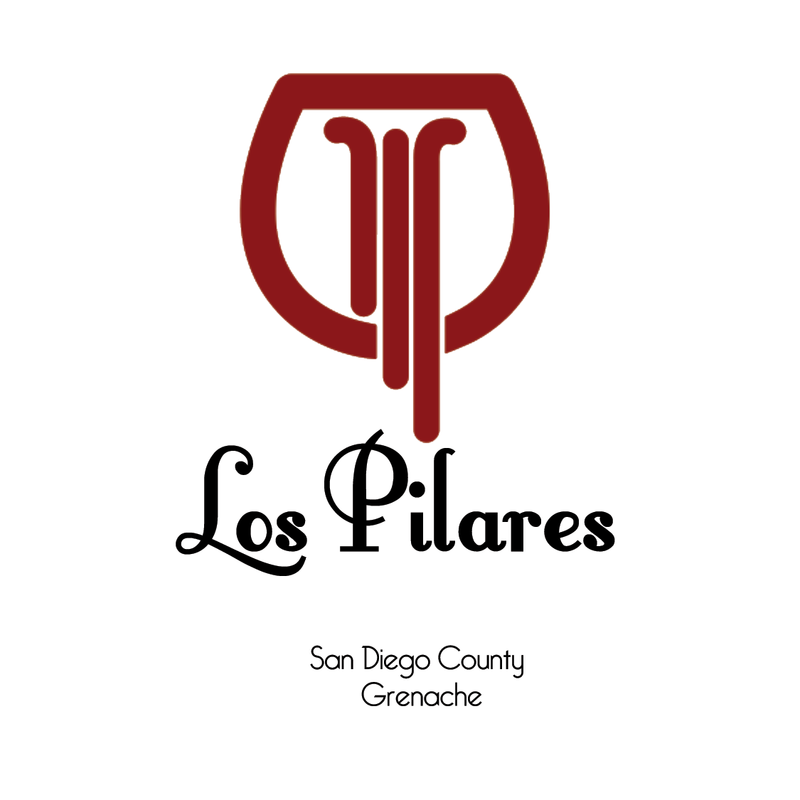 As far as we could tell, both the Grenache and the Carignan were essentially perfect – ripe but tart, balanced and healthy. They required very little sorting. We want to keep processes and ingredients to a minimum, without being dogmatic about it. Because of the confidence we gained in 2010 and because of the quality of the fruit, this year our minimalist winemaking approached the extreme. The details: 100% whole berries. No stems. No added yeast, acids, enzymes, yeast food, tannins, or anything else. 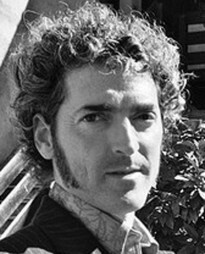 No oak. No no sulfur dioxide or any other additives or preservatives. The complete list of ingredients is fresh grapes. We did not filter or fine or even rack except to blend. 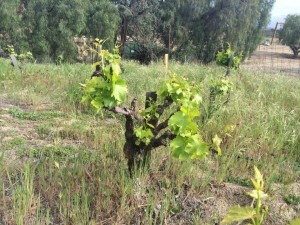 The Grenache-Carignan is the natural result of old-fashioned, hands-off winemaking. The characteristics of each variety stand out. This is something one loses with too much ripeness or extraction. 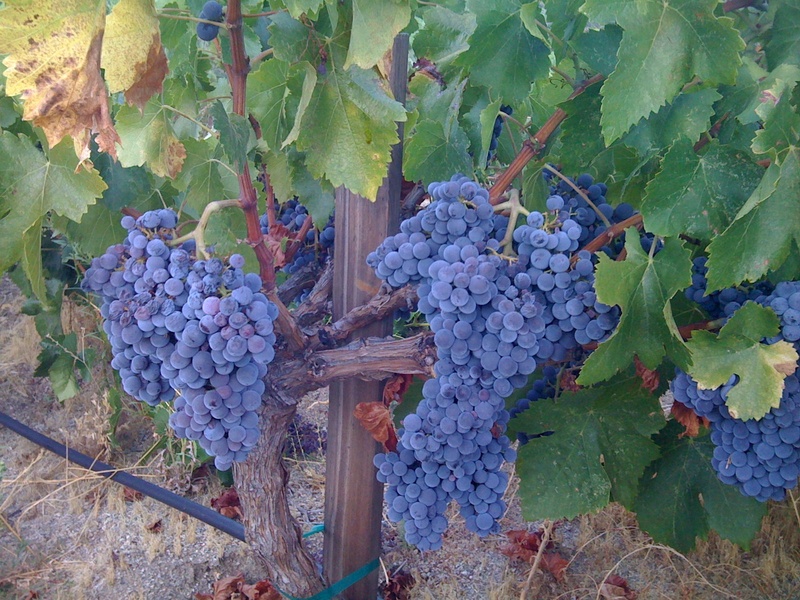 The Grenache gives bright, red berry flavors in the front of the palate. 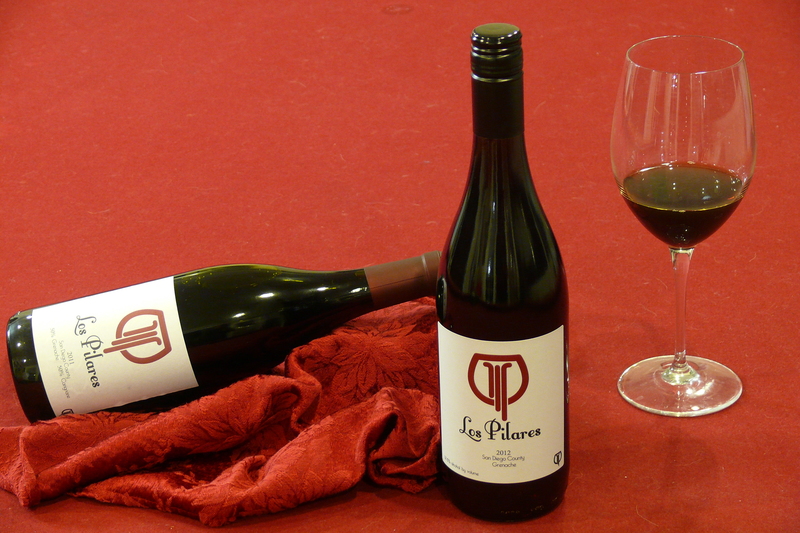 The Carignan delivers some pepper and brooding dark fruit at the back of the palate. Decent acidity. Young, untamed tannins. Begs for food of ANY kind, from grilled fish to boeuf bourguignon. 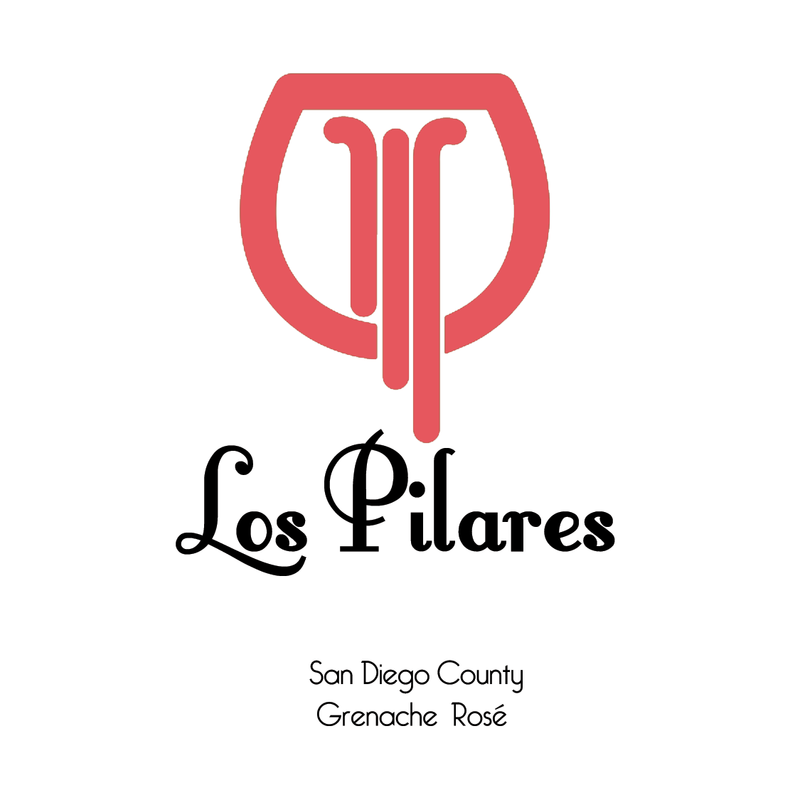 If you’re looking for where to get Los Pilares here’s a few places where you can enjoy a glass or pick up a bottle. 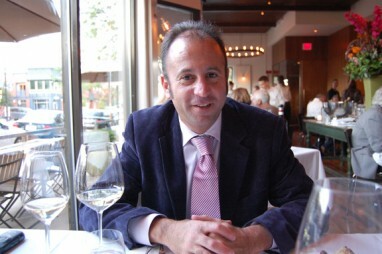 We partner with Vinavanti in San Diego to produce our wines. Drop by and taste their great wines in addition to ours at: 1477 University Avenue, San Diego, CA 92103.